Attendance is a written document that helps universities/organizations to analyze sincerity of students/employees. 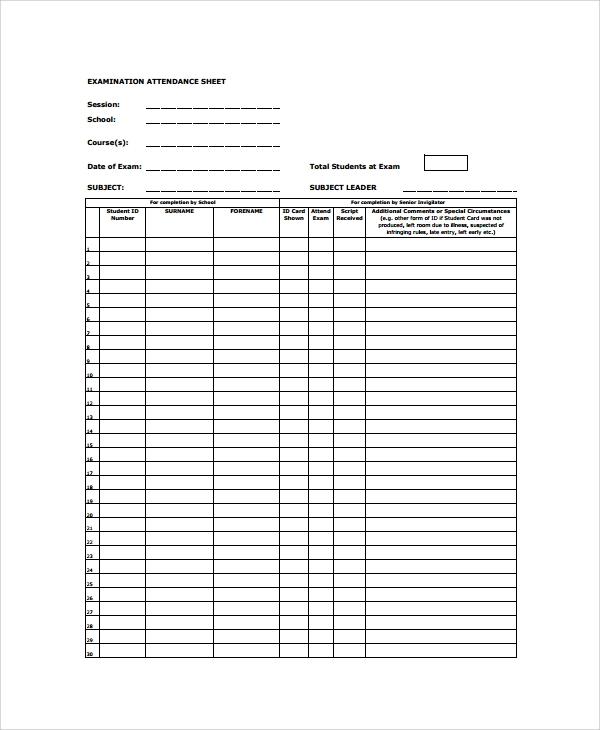 Attendance sheet is required to register attendance record. An attendance sheet should be specific and organized. 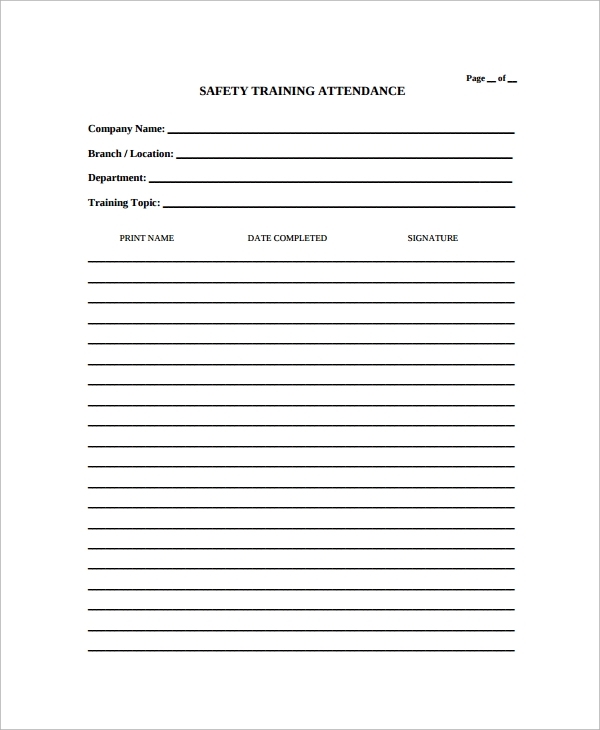 We provide best attendance list templates for various purposes. 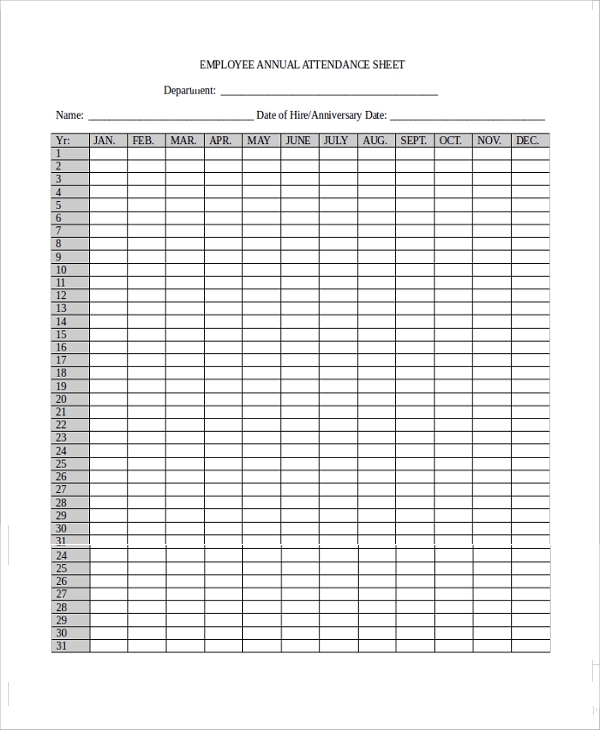 You can download our Printable List Templates and customize it to make it an official document by adding logo and department names. Also, it contains wide space for multiple entries. 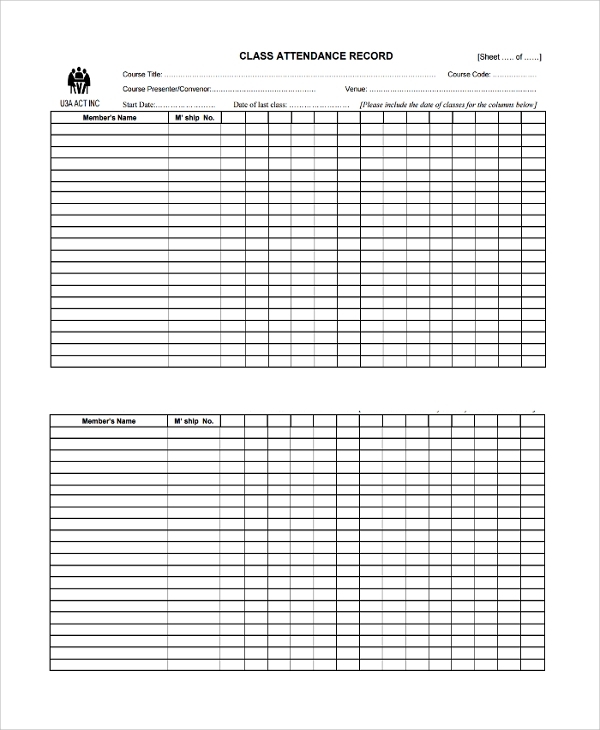 Meeting Attendance Sheet Template is a simple attendance sheet doc file. Take a print via laser or inkjet printer and use it. 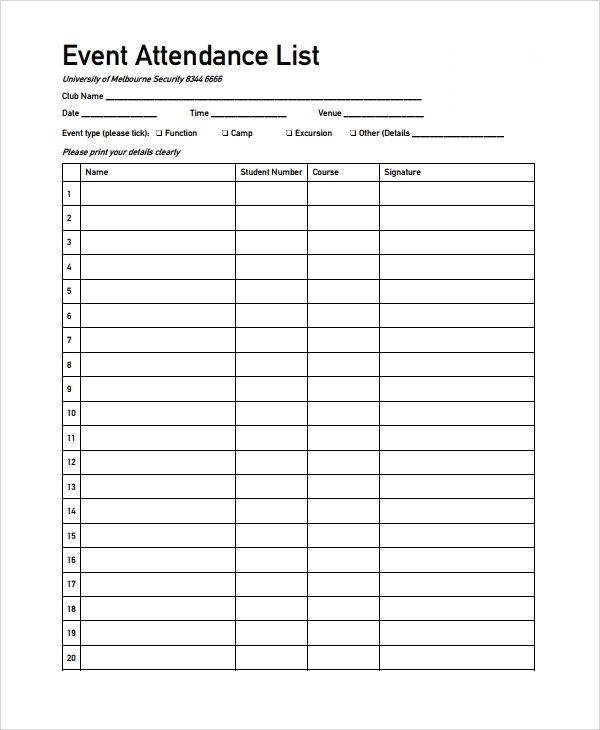 This Short List Templates is a good stuff to keep records of all meeting activities. It contains space to enter your Name, Meeting Date, Name of Group/Customer/client and his/her signature. You can customize it to replace/insert columns and headings. 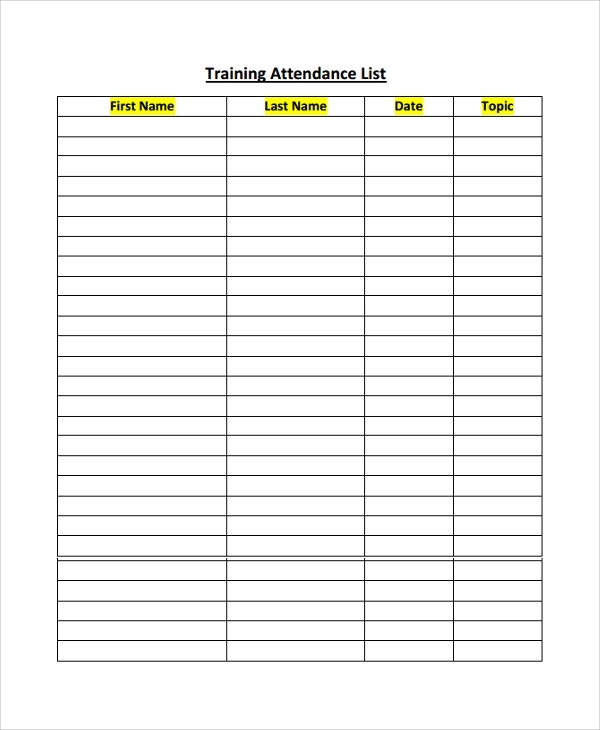 Training Attendance List Template can be used in coaching centers, institutes and companies to keep records of students attending the training/classes. Download the template and open it in MS-Word to edit logo, title and table columns. Expand/reduce the table as per the requirement. 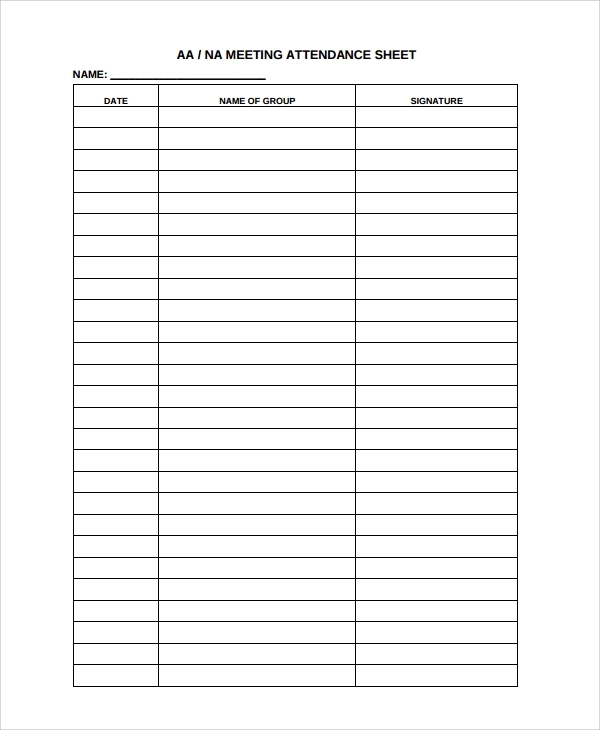 Event attendance list template can be used to measure attendance of students/participants in the event/activity. The template offers enough space for logo integration in the upper-right section. Edit your event title and logo and take a print. Record participant/student’s visits manually. It contains spaces to enter Name, Student number/ID, course and signature. 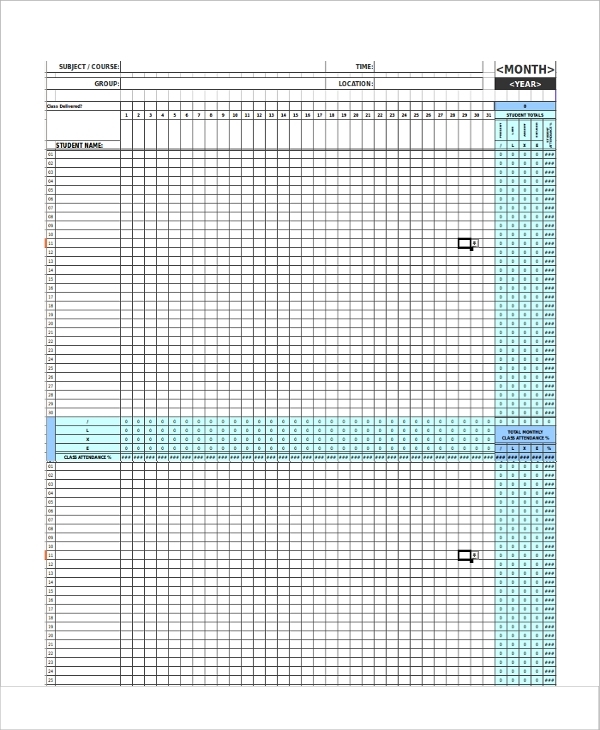 Class Attendance list template is an attendance register template sheet. Download the template and customize it. Take a print and distribute it among the teachers/professors to mark attendance of students. 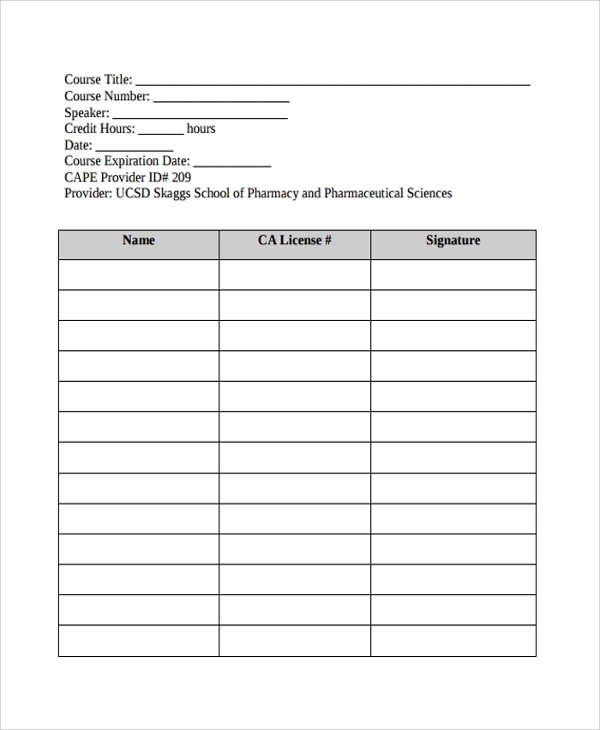 Fill out course title, course presenter, venue,and course code details in the heading section. You will need to fill the dates by your own. 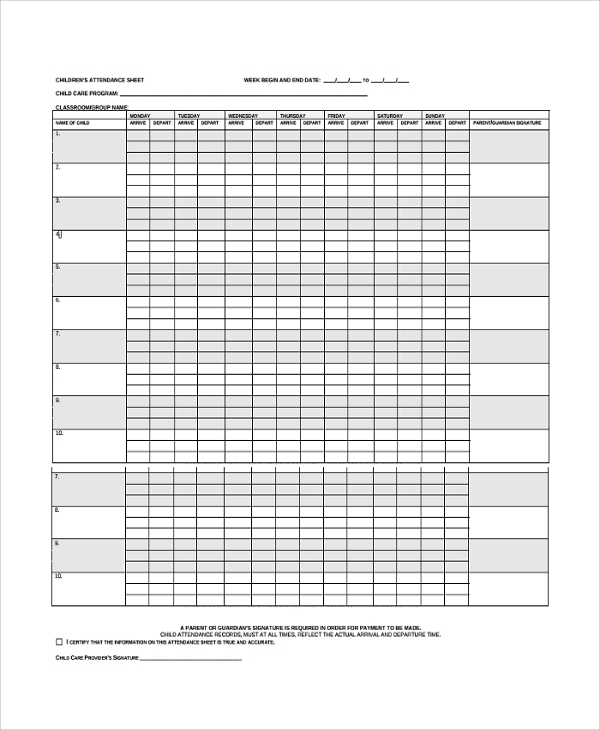 For Whom Attendance Template is Useful? Attendance templates are useful for marketers, managers, HR, professors, teachers and private tutors to maintain a Sample List of attendees. Our templates are available in multiple formats including PDF and Doc. Download our template and perform easy editing. Our templates support both old and new software versions for customization. When it comes to printing, our templates offer the best quality stuff via both inkjet and laser printers.